October is National Breast Cancer Awareness month and this past Friday, Trinity Transportation dubbed it “Breast Cancer Awareness Friday”! 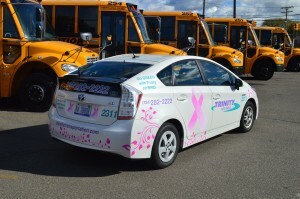 Trinity Transportation organized a Pink Out across all of their terminals and the turnout was amazing. 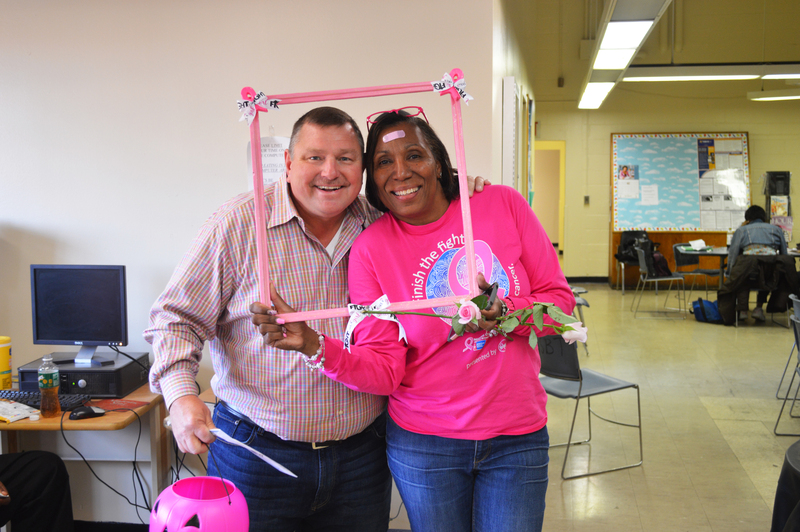 Aside from wearing pink, one of terminals located on the west side of Detroit took it a step further and held a bake sale to raise money for the American Cancer Society. Over the course of the month, they set a goal of $10,000 and are very close to reaching it. When Trinity Transportation’s President and Owner, Jerry Sheppard, found out about this, he felt that he needed to jump in and help. He ended up donating $1,000 to the American Cancer Society on behalf of the company to help the Crusader’s for Life team reach their goal. 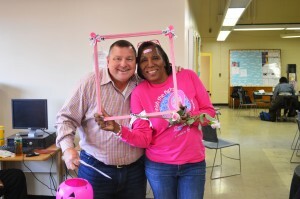 Now of course, Trinity was too creative to stop there. 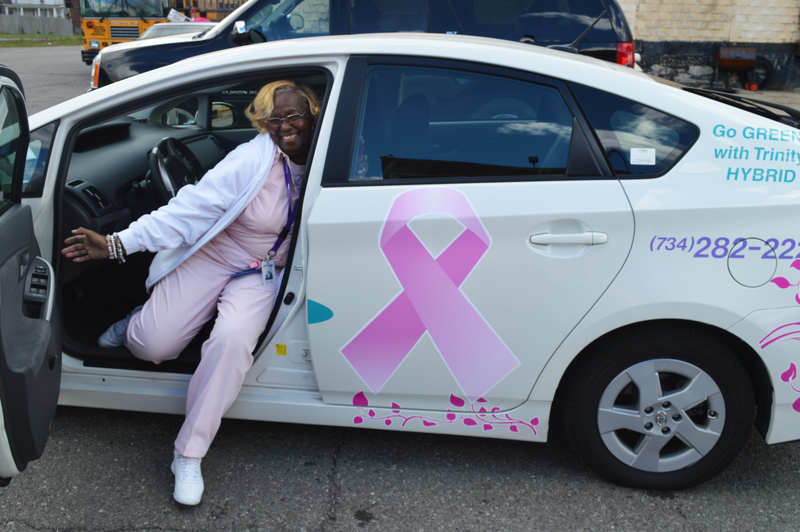 Mr. Sheppard went a step further and had one of the company’s Prius cars painted in pink with pink ribbons on each of the vehicle’s sides. Trinity has done this in the past and thought it would be not only fun but a great way to show its support for this cause.